This photo blog encompasses how consumerism enforces the notion of ‘doing gender.’ Ranging from birth, to having your own children gender is deeply ingrained in our society, whether we realize it or not. 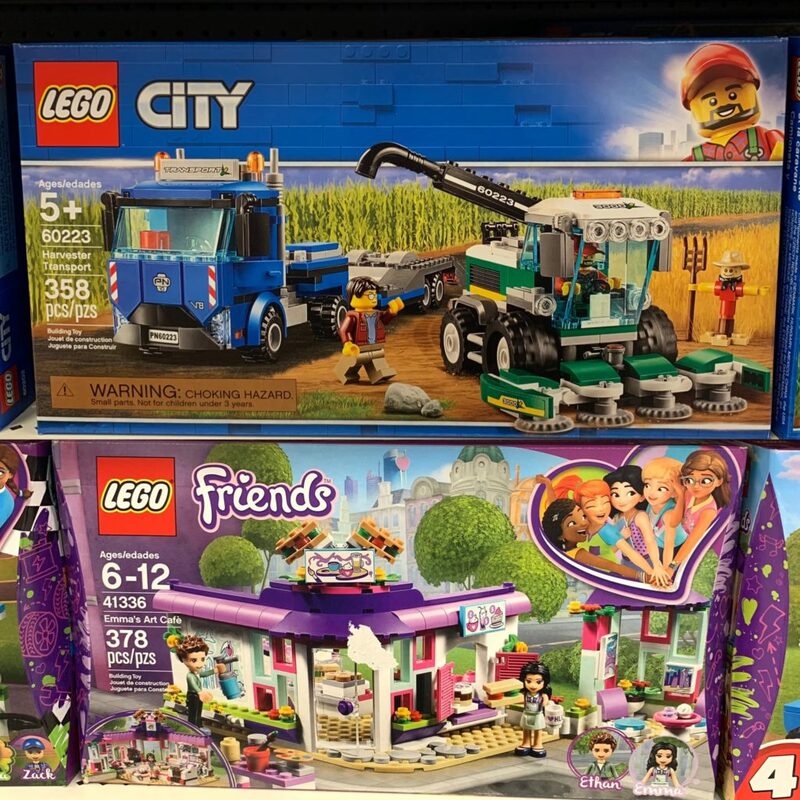 The photo included is a comparison of two Lego sets found at Target in Edwardsville. The blue Lego set was found in the designated boys’ toy isle, separated from the purple Lego set. The purple Lego set was found in the girls’ toy isle, separated from the blue. The boy set includes trucks, farm equipment, and harvesters. These machines put an emphasis on both hard work and labor. Compared to the boys, the girls Lego set includes a cafe, waitresses, and emphasizes friendships along with creativity. These toys are reinforcing what children should be interested in at such a young age, solely through play. The photo above is a comparison of infant’s clothing. 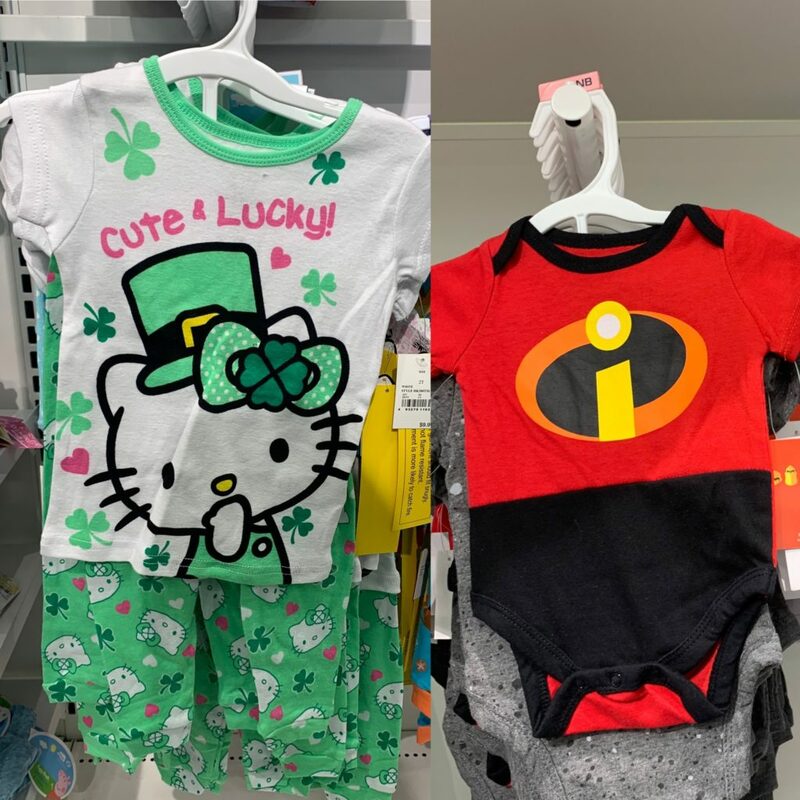 The cute & lucky outfit was found in the girl section, compared to the super hero onesie found in the boys. This strengthens the idea that boys are supposed to swoop in and save the day, whereas girls just stand there and look cute. I looked in the girls section to maybe find something that matches the superhero theme of the boys, and couldn’t find anything. Like the Lego set, the photo above are two different games designated for boys and girls. I chose to include this image because these toys target an older age group, yet is still deeply gendered. I’m sure you can guess which is for boys and which is for girls. Almost all of the girl toys focused on cooking and baking, and only shows girls on the boxes, never a combination of a boy and a girl. The toys created for boys are deeply rooted around violence and action, never on creativity or self-expression. 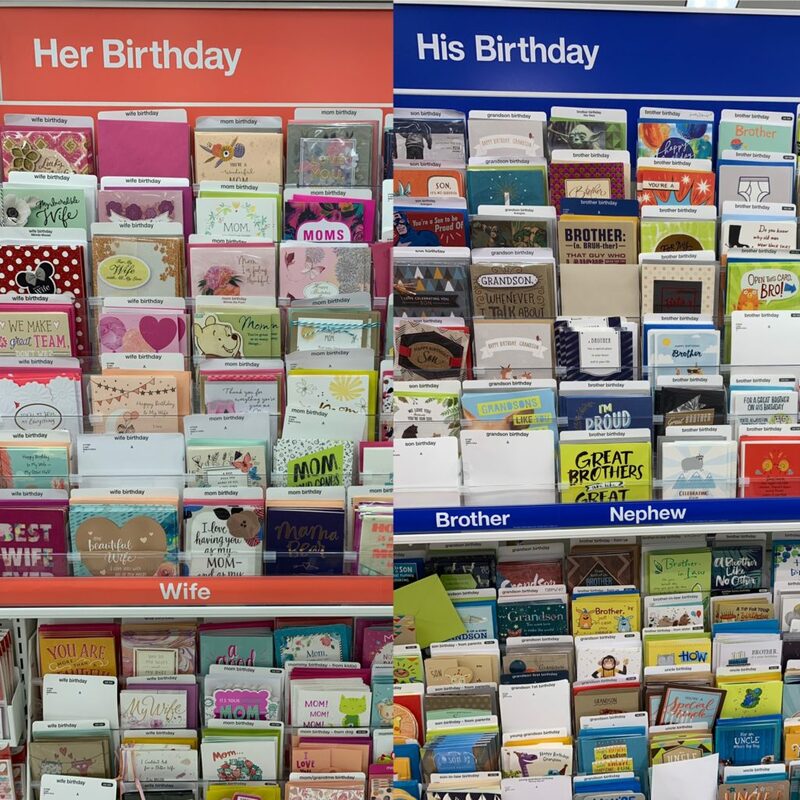 The photo above shows birthday cards and the separation between the two. ‘Her’ birthday isle was almost exclusively pink, red, and purple in color. It focuses around being caring, expressing affection, and love. ‘His’ isle was constructed of more cool tones, such as blues and greens. ‘His’ cards emphasized hard work and pride, but rarely mentioned love or affection. I found this to be interesting, in that we inadvertedly push these stereotypes on one another, even on our birthdays. And How We Raise Our Children. I almost didn’t include this image, but I felt it was too powerful not to. 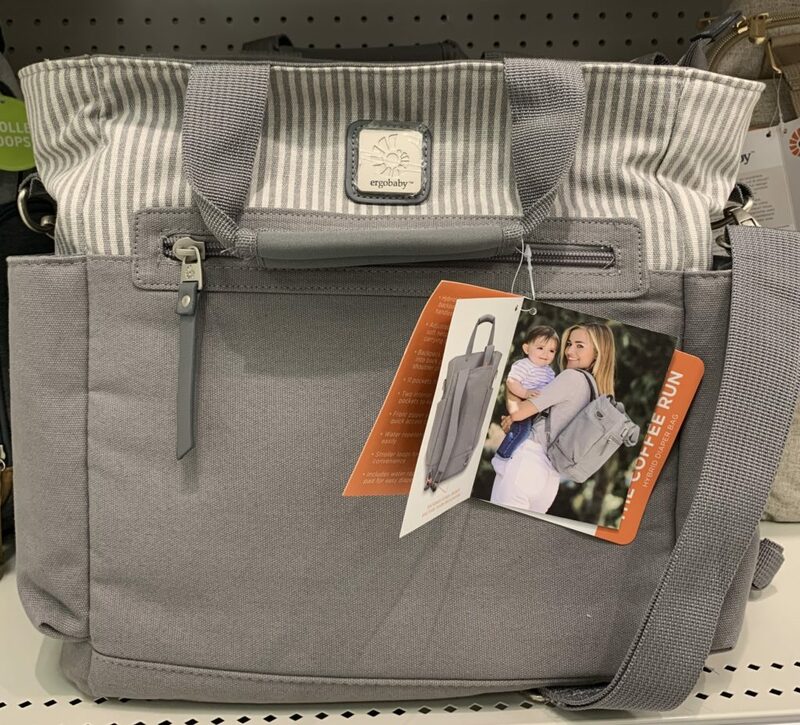 As I was leaving Target, I came across this baby bag with the tag showing a (white) mother and her child. The tag also included how it was perfect for ‘coffee runs’ and ‘picking the kids up from school.’ Not only does this imply that women are typically the primary caretaker of the child, it also puts an implication that men aren’t able to be as involved in the kids life as the mother. It’s 2019, companies should do better and show more inclusivity. This is a really great way of pointing out how much gender is socialized! Sometimes I forget how much gender can be socialized until it comes to shopping and seeing how everything is separated especially toys! Any time I think about certain items being only for girls or only for boys, I think of the grocery store because of how every little thing has a designated gender, which I find ridiculous. Your photo essay really captures what the stores are trying to sell to the boys and girls. 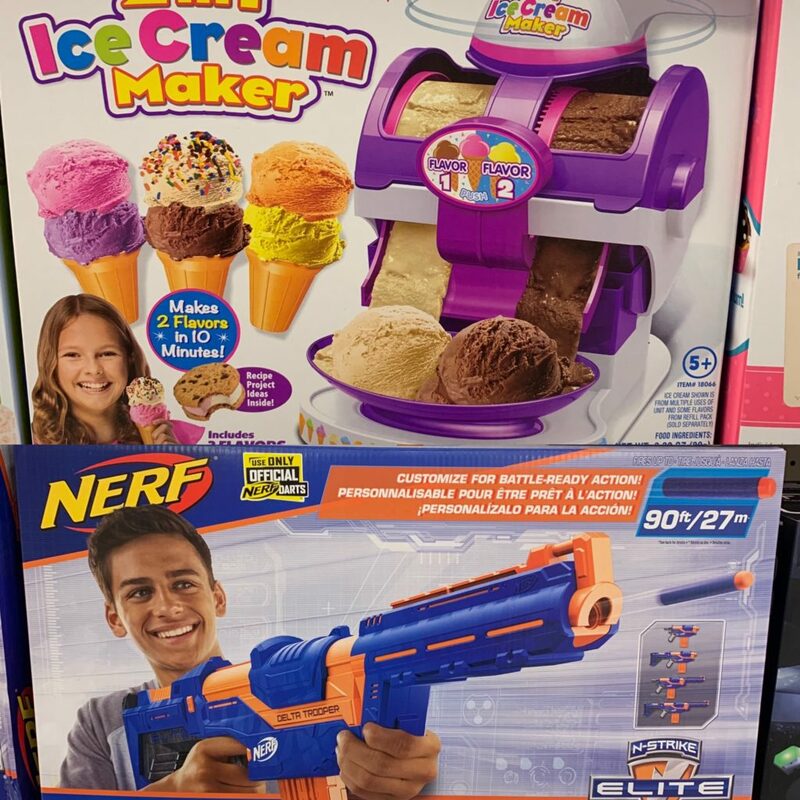 Doing gender through activities was a great example because girls have all of the toys and materials to be able to “cook” or take care of babies, but boys have the shooting and action packed toys and activities, which just signifies what society is trying to teach children through toys.